Will Scott Walker Win a 4th Straight Gubernatorial Election? Wisconsin Governor Scott Walker may not have been the first Republican to sound the bell warning of a potential Democratic wave in 2018, but he rang it loudly after his endorsed state supreme court justice candidate was defeated in last April’s election. Even without high profile pick-ups by Democrats in Alabama’s special U.S. Senate election and Pennsylvania’s 18th Congressional District (and a few dozen lesser-known state legislative seats across the country), the purple state GOP governor who won each of his three gubernatorial elections by less than seven points (including 2012’s recall) was aware he would not likely coast to a 2018 midterm victory – particularly with Donald Trump’s approval rating hovering around 40 percent in the Badger State. But while it remains to be seen whether or not Wisconsin Democrats pick the most palatable nominee in their mid-August primary, a slight edge must still be given to the incumbent governor. Smart Politics previously documented how each of the last nine governors to attempt a run for a third consecutive term were successful as well as 20 of 24 since 1970. So how successful have governors been in seeking a fourth consecutive victory over the decades? Smart Politics examined the nearly 1,900 gubernatorial elections conducted since the turn of the 20th Century and found that incumbents who have sought a fourth consecutive victory at the ballot box were victorious two-thirds of the time – 20 wins against 10 defeats – including three-fourths of the time during the last half century (12 of 16). The last governor to win four elections in a row was New Hampshire Democrat John Lynch in 2010. After cruising to 40+-point wins during the 2006 and 2008 Democratic waves, Lynch fended off former state HHS Commissioner John Stephen by 7.6 points during the 2010 GOP tsunami. Each of these 11 aforementioned governors won their fourth term by double-digits – averaging 20.1-point victory margins. Looking through a wider historical lens, governors seeking a fourth consecutive victory since the turn of the 20th Century have been successful in 20 of 30 attempts (66.7 percent). Going back to the late 18th Century, governors have tallied a 52-15 record in their quest for a fourth straight electoral win (77.6 percent). It should be noted that the pool of states which allow individuals to serve more than two consecutive terms is now just 14: Connecticut, Idaho, Illinois, Iowa, Massachusetts, Minnesota, New Hampshire, New York, North Dakota, Texas, Utah, Vermont, Washington, and Wisconsin. Governors who had the opportunity but opted not to attempt a run at a fourth consecutive victory since the turn of the 21st Century include Michigan Republican John Engler (2002), New Hampshire Democrat Jeanne Shaheen (2002), New York Republican George Pataki (2006), Texas Republican Rick Perry (2014), Vermont Democrat Peter Shumlin (2016), and Idaho Republican Butch Otter (2018). 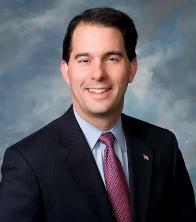 1 Comment on "Will Scott Walker Win a 4th Straight Gubernatorial Election?" 1. Engler was lucky that the (gubernatorial) term-limits amendment to the state constitution adopted in 1992 was not applied retroactively – though, even if it had been an open-post election, it seems unlikely that Geoffrey Fieger would have defeated whoever the Rs nominated for the said office in 1998. 2. History may be on the side of (Imperious & Notorious) Governor Walker, but the prevailing currents – as indicated by the lopsided loss of “Associate 4” position of state supreme court candidate Michael Screnock, to speak nothing of Paul Ryan bugging out of Congress after months of vacillation over whether to seek another term – seem to signal the end of his controversial reign over the state.